Audio commentary by film scholar Tony Rayns (Sight & Sound magazine). A 1966 documentary about Dreyer by Jörgen Roos. A visual essay by Danish silent film scholar Casper Tyjberg that explores Dreyer's influences in the making of Vampyr. A 1958 radio broadcast of Dreyer reading an essay about filmmaking. A booklet featuring new essays by Mark Le Fanu, Kim Newman and Martin Koerber, as well as an archival interview of Vampyr producer and star Nicolas de Gunzburg. 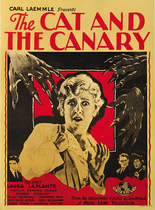 A book containing the original Vampyr screenplay by Dreyer and Christen Jul, as well as the full text of "Carmilla," the Sheridan Le Fanu story that inspired the film. 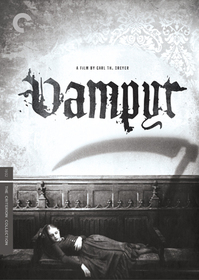 Vampyr, bearing the Criterion spine number 437, will be available July 22, 2008 for a suggested retail price of $39.95. 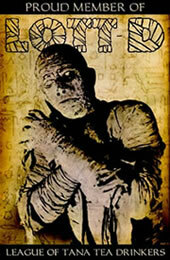 Thanks to the fine folks at the Classic Horror Film Board for the heads-up. Submitted by Neil Snowdon (not verified) on Tue, 2008-05-13 10:23. Submitted by Nate Yapp on Tue, 2008-05-13 10:33. Thanks for the heads-up, Neil. Our UK readers are, I'm certain, grateful for the news!